In the Qumran caves that yielded the Dead Sea Scrolls many jars, lids and other artefacts were discovered by local Bedouin and also in joint Jordanian, French and American excavations (1949-56). Some of these material artefacts were sent to collections worldwide very early on, either gifted or sold. Recently the École Biblique et Archéologique Française of Jerusalem and the ISCAB Lugano started a program for the final report on the Caves of the Qumran Area, dealing mainly with the materials kept in Jerusalem and Amman. The program is directed by Pere Jean-Baptiste Humbert (EBAF) and Marcello Fidanzio (ISCAB). 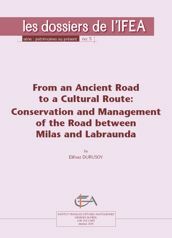 The network for the Dispersed Qumran Caves Artefacts and Archival Sources hopes to engage with this publication project, by facilitating the study of all the dispersed artefacts enabling more comprehensive new reports. This will provide more information about the Qumran cave artefacts, and contribute to reconstructing a material profile of each cave’s contents. Alongside the analysis of ceramic jars, lids, textiles, leathers and wooden remains, the network will additionally explore the written and photographic dossiers of archaeologists and visitors. 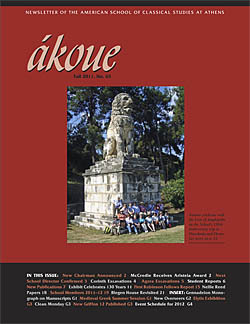 The Newsletter of the School, ákoue, is published by the ASCSA Development Office and sent free of charge to staff, alumni and other friends of the School approximately twice a year. Index of the newsletter, from 1977 to present. Let us put this simply. BMCR needs your help. For 28 years, we have pursued a vision of open-access publication. We now face a once-in-a generation need to update our platform. If you use and value BMCR, please give what you can. This link will allow you to contribute by credit card or PayPal. BMCR is published by Bryn Mawr Commentaries, a registered non-profit 501(c)3, and donations are tax-deductible in the US. Donations from outside the US are also welcome, and every bit as useful! The long version of our request for aid is as follows. Recently, we wrote a letter that explained some principles and practicalities of BMCR's operation. We do what we do by virtue of generosity of multiple kinds: sale of Bryn Mawr Greek and Latin Commentaries; income on a small endowment created through the sale of Commentaries; infrastructural support from Bryn Mawr College; and the incredible goodwill of BMCR's volunteer editors and its many reviewers. All this has sufficed to allow us to publish openly and freely for more than a quarter of a century. However, BMCR also relies on a publishing platform that was designed and built in the 1990s. We now desperately need to update this platform, and we seek at the same time to modernize BMCR's extraordinary archive of data on the history of classical scholarship. We have already contracted for proposals to do this work—which was itself an expensive process!—and would be happy to discuss our plans with any interested parties. In short, to see this process through, we urgently need $80,000. The expense is beyond the scale of our very limited resources. We cannot continue to operate with our current platform, nor can we update it on the basis of our modest endowment. We are doing all that we can to raise the money for this work. We now appeal to you, BMCR's direct beneficiaries. We don't ask lightly, and we need your help. Thank you for your support, and happy reading. For more information please contact Hans van der Meij, Director Academic Relations and Publishing Partnerships at Brill, via meij@brill.com. Welcome to the Database of Military Inscriptions and Papyri of Early Roman Palestine! This site is designed to aid the study of the military in the early Roman period for those interested in Judaism and Christianity of the first few centuries CE. This website is still deep under construction, but has basic functionality at this point. The search function is small but effective. If you are looking for a specific entry, search for it as a four-digit number (e.g., entry 23 can be found as 0023). 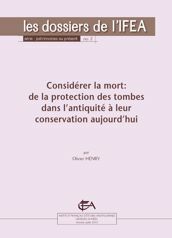 You can search the text or translation easily: finding all centurions, texts from Jerusalem, all inscriptions mentioning cohors I Sebastenorum, etc. by a simple search. Each entry lists the original language text, an English translation, a brief commentary on the find, relevant bibliography, and information on its provenance. Eventually search functionality will be supplemented by an “advanced search” page that will have a Greek keyboard and allow more specific searches. DMIPERP entries are divided roughly as follows: entries 1-132 were all found in Palestine and listed in roughly chronological order; entries 133-201 were texts not found in Palestine but discuss either the military in Palestine or those of a Palestinian background (esp. Jews and Gentiles born in Palestine); entries 202-224 are all surviving military diplomas for Judaea and Syria Palaestina; entries 225-296 are military diplomas of units or people originating in Palestine; entries 297-340 are Palestinian milestones erected by the military; entries 341-362 are all known pre-Constantinian military inscriptions involving Christians. There are 372 entries in total, with new entries being added following that number. Note that the source of a translation is indicated by an asterisk in the bibliography. There is more information on how to use this site as well as an updates page for any changes, updates, or new finds. Not sure where to start? Try browsing till you find something interesting! 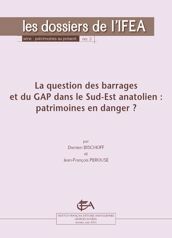 La collection « Patrimoines au présent » présente des synthèses courtes et actuelles sur les problématiques liées aux questions de préservation du patrimoine en lien avec les dynamiques propres à la société turque contemporaine. Tous comme leur série sœur « La Turquie aujourd'hui », ces dossiers alliant la rigueur du travail de fond à l'enquête de terrain sont le fruit des recherches de chercheurs turcs et français dans une perspective pluridisciplinaire. The Journal of Religion, Media and Digital Culture is a peer-reviewed academic journal, publishing three issues each year. JRMDC publishes original work that considers any aspect of the relationship between religion, media and culture. Published articles should contribute new insights to debates in the social sciences or digital humanities. Studies of any religious tradition are welcomed. Theological writings will not normally be considered for publication, although occasional exceptions may be made for special issues of particular academic interest. Studies of a wider range of media (for example, religion and television or film) may be published as part of occasional special issues. RMDC publishes articles (5-8000 words), research reports (up to 5000 words), review articles (2-3000 words) and book reviews. Submissions should be in Harvard style. 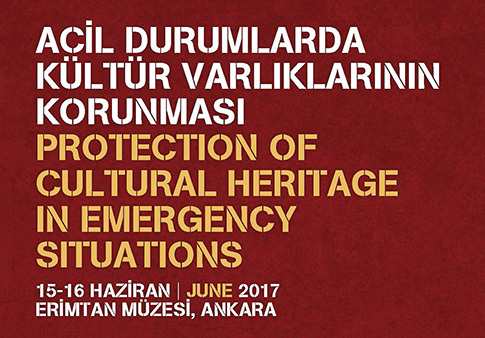 The workshop Acil Durumlarda Kültür Varlıklarının Korunması // Protection of Cultural Heritage in Emergency Situations took place in June 2017. The speakers addressed strategies for protecting museums and heritage sites in instances of disasters. International experts came together with specialists at the Ministry of Culture and Tourism, museums, institutes, and universities in Turkey to address the wide range of issues that damage, even obliterate cultural and historical heritage. The presentations discussed the variety of work carried out at different sites, museums, and regions, describing case studies. The workshop aimed to raise awareness of the problems museums may face in emergency situations and to offer a range of possible solutions. 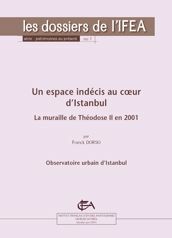 Professor Dr. Peter Stone (Newcastle University, UNESCO, Cultural Property Protection Coordinator // Kültürel Mirasın Korunması ve Barış - Başkan) "Tehlike Durumunda Kültür Mirasının Korunması: Kritik Bir Sorumluluk mu ya da Gereksiz Bir Dikkat Dağılımı mı?" // "Protecting Cultural Property in Conflict: Critical Responsibility or Unnecessary Distraction"
Prof. Dr. Brian Rose, University of Pennsylvania Museum, American Research Institute in Turkey, President // Üniversite Müzesi, UPENN, ARIT - Başkan) "Askerler İçin Kültür Varlıklarının Korunması Eğitimi" // "Cultural Heritage Protection Training for Soldiers"
Dr. Lamia Al-Gailani-Werr, (SOAS University of London // SOAS Londra) "Dört Savaş ve Irak Müzeleri" // "Four Wars and the Museums in Iraq"
Dr. Aparna Tandon, (ICCROM (International Centre for the Study of the Preservation and Restoration of Cultural Property), Rome // ICCROM, Roma) "Kültür Beklemez: Olası Zararlara Karşı Kültür Varlıklarına Uygulanacak İlkyardım Planlarının Ulusal Yönetim Sistemlerine ve Uluslarası İnsani Yardım Kuruluşlarının Planlarına Dahil Edilmesi" // "Culture Cannot Wait: Integrating First Aid for Cultural Heritage into National Emergency Management Systems and International Humanitarian Response"
Ms. France Desmarais, (ICOM (International Council of Museums), Paris) "Tehlike Altındaki Kültür Varlıklarının Korunmasında Dünya Müzelerinin Yeri" // "Protecting Cultural Heritage at Risk: The Role of the World Museum Community"
Dr. Shaker Al Shbib (Smithsonian Institution, Researcher, Sorbonne // Paris I Üniversitesi) "Acil Durumlarda Suriye Müzeleri’nde Alınan Önlemler: Halep, İdlib ve Maarat Al-Nu’man Müzeleri" // "Emergency Measures Taken to Protect Museums in Syria during the Conflict: Aleppo, Idlib and Maarat Al-Nu’man Museums"
Ms. Zeynep Boz (Turkish Ministry of Culture and Tourism, General Directorate of Cultural Heritage and Museums // T.C. Kültür ve Turizm Bakanlığı, Kültür Varlıkları ve Müzeler Genel Müdürlüğü) "Kültür Varlıkları Kaçakçılığının Engellenmesi Kapsamında Yeni Gelişmeler ve Tartışmalar" // "Recent Developments and Discussions on Prevention of Illicit Trafficking of Cultural Property"
PANEL DISCUSSION with program participants. 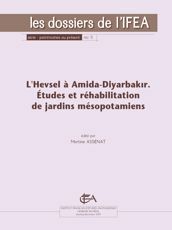 CONFERENCE ABSTRACTS are accessible here.